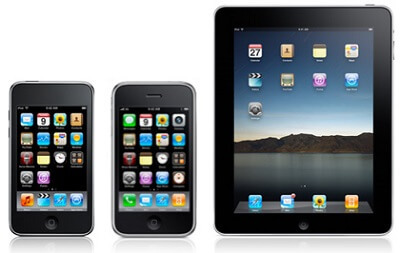 Apple recently released iOS 7 for the iPad, iPhone and iPod Touch. If you have already upgraded your device(s) or will be upgrading in the near future please be aware of the following issue with Overdrive Media Console (the app for reading downloaded library ebooks). When an existing OverDrive Media Console (OMC) user upgrades to iOS 7, the app will fail when trying to open a DRM-protected eBook. (Most eBooks available from the library have DRM, which stands for digital rights management.) New or first time users of OMC are unaffected by this issue. Re-authenticate the OMC app with your existing or a new Adobe ID. Refer to the iOS section of this Help article for assistance (recommended). Audiobook users won’t notice that anything is different unless they attempt to download parts of audiobooks they already downloaded to OMC before upgrading to iOS 7. A user will receive an error message informing them to download the title again. Issue such as this are unfortunately almost inevitable when operating system upgrades are issued, because the system underlying the apps is changed. We regret any inconvenience this may cause you. Please feel free to call or visit the library for assistance. Call 631 725.0049, ext. 237 or 232, or see Eric Cohen or Sue Mullin at the library.